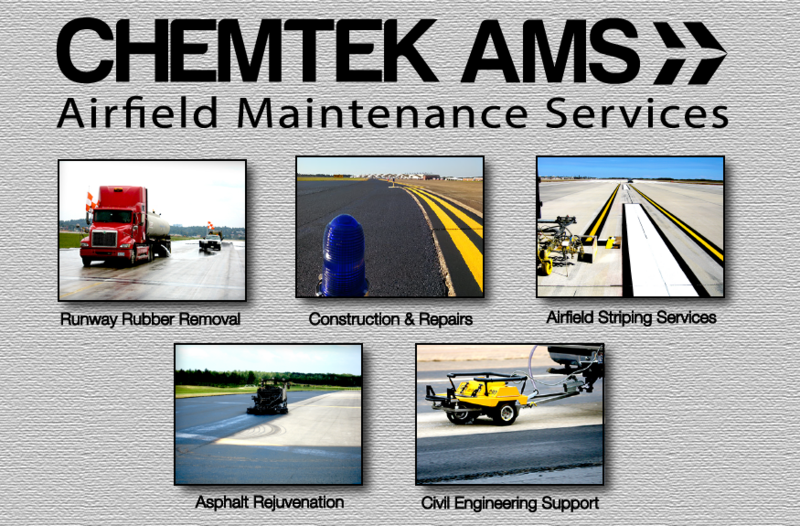 Chemtek’s Airfield Maintenance Services provides turn-key, full scale maintenance services to airports worldwide. For over 30 years we’ve been committed to providing sustainable, innovative solutions that exceed customer expectations. From runway rubber removal using our patented AvionNexGen, to airfield striping, repairs, and rejuvenation, our team is here to help make your airfield projects run smoothly! Visit www.runwaymaintenance.com to Learn More!